We would love to have you as a member for only $25 a year. Mark your calendars NOW. Registration will open in April. 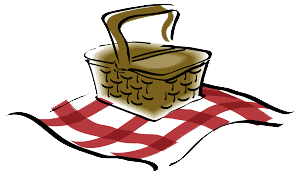 Summer is almost here and we are thrilled to announce a CGCC picnic. Come meet other families with gifted children, and enjoy some outdoor fun! We will have a family scavenger hunt for you to complete. Several of our professional members will have activities available. You will also be able to meet board members of the Chicago Gifted Community Center, and share your wishes for our organization. Register for this picnic now. If your plans change, you can unregister, or you can email us and we'll take care of it. For planning purposes we need to know that you are considering coming! Pack a lunch for your family. Find and bring all your picnic enjoyment paraphernalia - frisbees, kites, baseball gear, bubble makers, bug spray, sunscreen, etc. Also bring other things that your kids love to do to share with others, such as tabletop games (that can withstand a breeze) or legos. Please contact Niamh with any questions or concerns.